Properties in Szemlohegy Cave average 4.4 out of 5 stars. Great off-peak prices / Fast response! Property 4: Great off-peak prices / Fast response! Property 10: Studio with terrace, free WIFI and garage in the heart of Budapest. Central, High ceiling, AC - QUALITY, NEW!!! Property 16: Central, High ceiling, AC - QUALITY, NEW!!! Property 18: Spacious apartment in a superb central location. Budapest: Characteristic apartment in the centre of old Pest. Property 23: Budapest: Characteristic apartment in the centre of old Pest. Superb quality, 2BRM, 2Bathroom, A/C, NEW!! Property 31: Superb quality, 2BRM, 2Bathroom, A/C, NEW!! Basilica Mezzanine apartment in VI Terézváros with WiFi & private terrace. 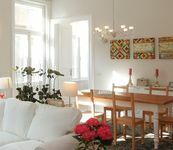 Property 46: Basilica Mezzanine apartment in VI Terézváros with WiFi & private terrace. Beautiful place with everything you could need. Was a beautiful place to stay with everything you could want.Excellent location with no safety issues.Place has lots of pamphlets &amp; books for additional info.Airport transportation was perfect.Tibor was very helpful &amp; informative.Loved Budapest-get Parliament tickets early,great pastries! Would highly recommend cuty &amp; apt. This big apartment was perfect for our group of 4. It was sparkling clean and had all of the amenities we needed, including a full service kitchen. The New Market next door is fantastic for groceries and junk food! The restaurant downstairs is convenient and quite good. Public transport on the 2 tram, plus being able to walk everywhere within 2 miles makes this a great place to stay.